Beats Electronics and Monster are not renewing their headphones contract after a five year partnership. Beats has been the biggest name in headphones over the last couple of years, heavily popularised by co-owner Dr.Dre. The partnership built on the audio expertise of Monster, which hi-fi fans will know was already a big name in the cable world. The duo's big seller has been the over-ear Beats by Dre range (pictured) which are known for their bass-heavy sound and active noise cancelling, as well as their standout looks. After the split, Monster is planning to build up its own headphones range with eight different lines. 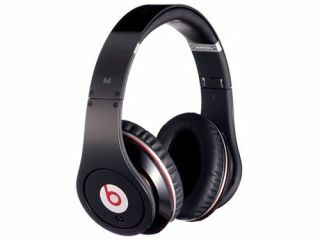 Beats' sound technology has already made its way into the HP Envy Beats Editionand a number of HTC smartphones. HTC is now the major stakeholder in Beats, paying US$300 million for the privilege. Beats is looking to expand into new areas like TV and products for athletes, amongst others, but also appears to be focusing attention on the mobile sector. "We have very big ambitions for Beats beyond headphones," says Beats co-founder Jimmy Iovine in conversation with Business Week. "Music has got to succeed on the phone or else the record industry will never thrive." We'll be expecting some more Beats branded phones, then.